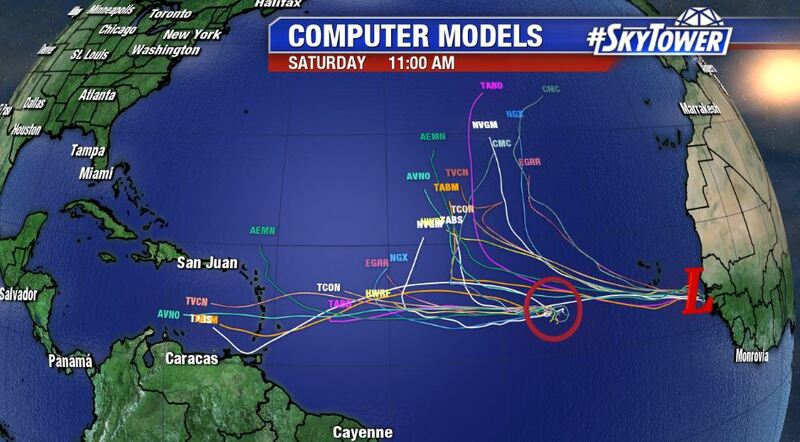 At some point in the next day or two, we should have three named storms in the Atlantic. 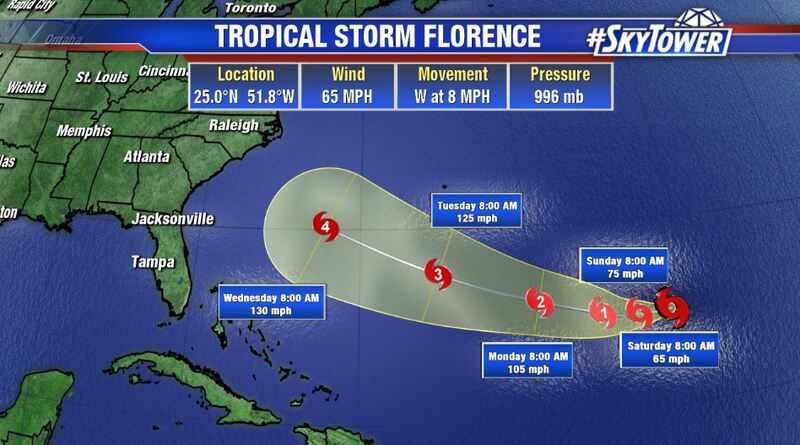 Of most importance at the moment is Florence, currently located about 935 miles east-southeast of Bermuda. 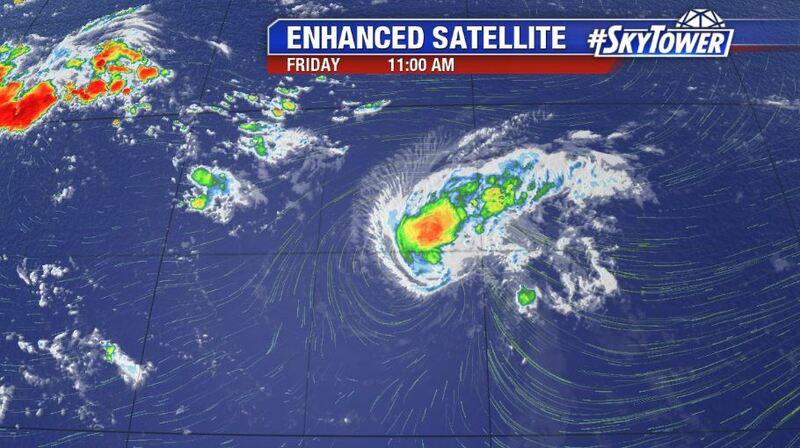 The storm has encountered an area of high wind shear over the last day and a half and weakened dramatically from a category 4 hurricane to a tropical storm. However, it is expected to restrengthen and become a hurricane again over the weekend as it moves into a better environment. 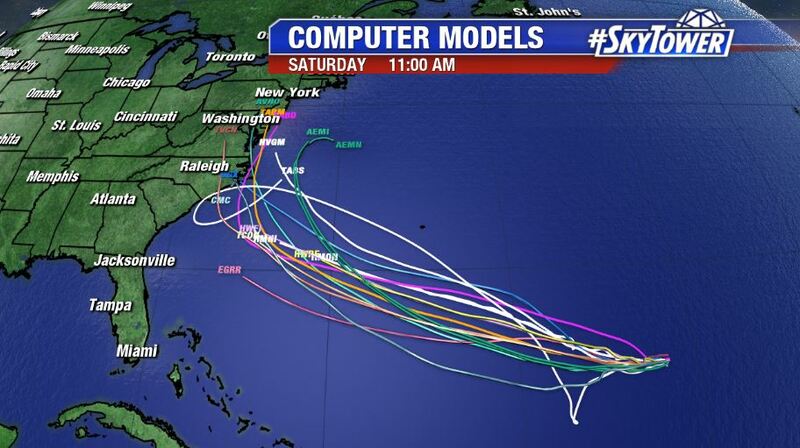 Florence should continue on a general westerly track through the weekend. At this point it seems likely that the storm will miss Bermuda to the south, but will be a close call and residents should still monitor the progress of this storm closely. It is still too early to say whether or not Florence will have a direct impact on the East Coast. 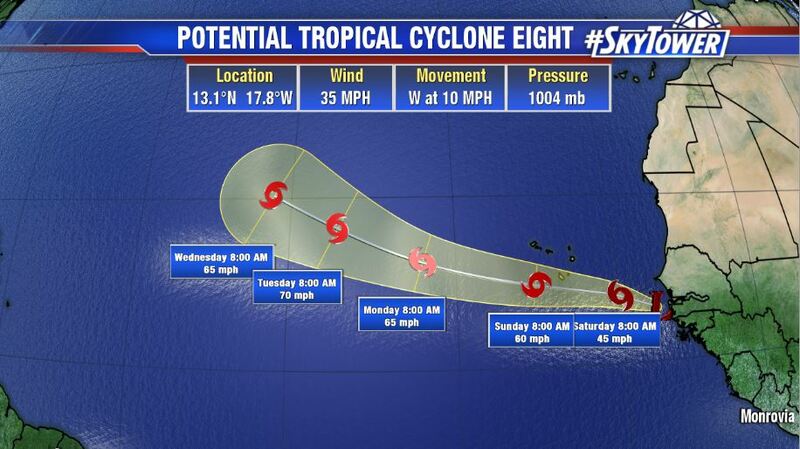 We’re still about 6 days away from a U.S. landfall, if one were to occur. The key steering mechanism continues to be a mid-level ridge north of Bermuda. By early next week a trough may develop a weakness in this ridge allowing the storm to move more north-northwest, perhaps missing the East Coast all together. There is still considerable model uncertainty, however, regarding the strength and timing of these steering components. Time will tell, and by the end of the weekend we should have a very good idea of what, if any, U.S. impacts there will be from Florence. In the far eastern Atlantic, two new storms are trying to form a couple of vigorous tropical waves that have rolled off the coast of Africa. The names next in line would Helene and Isaac. 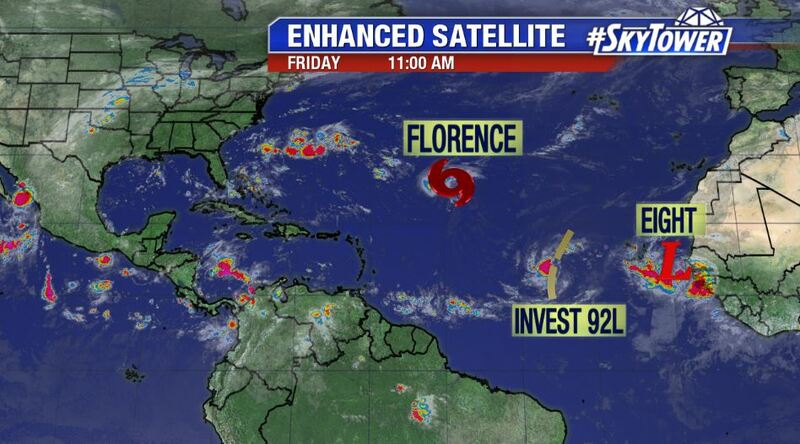 Invest 92L has a 90% chance of development over the next 48 hours, while the other has been designated as Potential Tropical Cyclone Eight. The disturbance farther west should make its way across the Atlantic toward the Lesser Antilles over the next week or so. The system behind it should generally follow suit, but start to move north by the middle of next week. Time is certainly on our side here. We’ll take it day by day and see how things evolve.